WOODBRIDGE -- Two 17-year-old boys in New Jersey have been charged with the intentional killing of several geese and/or goslings by the NJSPCA. Authorities say that on or about June 8, the two boys, both juniors at Colonia High school, made a plan to lure a family of geese into the street. 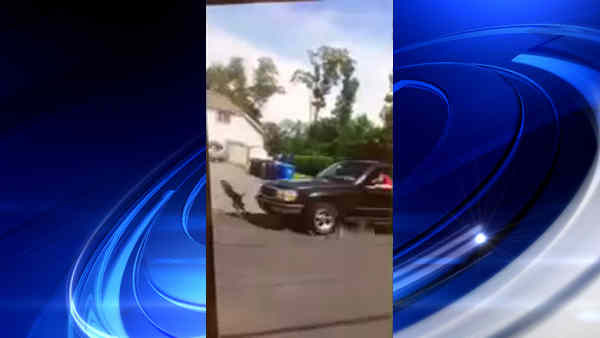 While one boy videotaped the event, the second drove his Ford Explorer down the street and into the geese. The taped event was uploaded to a SnapChat account and spread around the school, prompting several concerned citizens to alert the NJSPCA to the video. After several days of investigation, officials say the two teens were found and admitted to their involvement in the events while being questioned with their parents' permissions. At least one goose was found dead on Dorset Drive around the corner from the 300 block of New Dover Road, where the alleged incident occurred. The vehicle used to run down the goose family was located in the school parking lot and reportedly still had goose feathers embedded into the front license plate, grill and bumper. Third degree animal abuse charges have been filed through the juvenile bureau of the Middlesex County Prosecutor's office, and the case most likely will be referred to family court due to their ages. State law mandates that the court shall order the juvenile to receive mental health counselling by a licensed psychologist or therapist. No identities can be released at this time due to the ages of the juveniles. Additional charges may be placed against others involved in the matter.